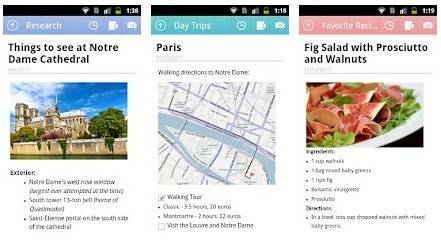 For the Android faithful out there, there is a new app hit the Android Market from Microsoft called OneNote Mobile, and app that is already available on both Windows Phone and iOS that enables the user to write notes whilst on the move. OneNote Mobile for Android features such things as quick access to recent notes, the ability to store and access multiple OneNote notebooks, built in spellchecker, the ability to sync to your free SkyDrive account and offline access. With the free version of OneNote Android users can create, access and edit up to 500 notes on their device, and when the limit is reached you can delete, edit or sync or update to the premium paid OneNote for Android apps via in app purchase. There are a few requirements for using OneNote Mobile, and they are your device must be running Android 2.3 Gingerbread or above, and you require a free Windows Live ID to use the OneNote app. Other features in the OneNote app include text formatting, images, bullet lists, to-do lists with checkable boxes, the ability to quickly share photos via the handset camera, the option to sync notebooks over WiFi, table editing and support for external links. And that’s your lot, so for those that wish to take advantage of Microsoft OneNote Mobile app for Android you can grab the free download to your chosen device by hitting up the Android Market.